El Plan de Salud del Gobierno, Vital, te ofrece una excelente cubierta médica. Aquí la información que necesitas saber. Here the information you need to know. Antes de llenar tus documentos de calificación, descubre si tu solicitud podría ser procesada en nuestras oficinas. Obtén los documentos necesarios para poder llenar tu solicitud y presentarla en nuestras oficinas. Llénalos, imprímelos y visita tu oficina más cercana. Sabes o sospechas que un beneficiario del Medicaid/Plan Vital este cometiendo fraude para obtener estos beneficios. Puedes solicitar y/o consultar la fecha de tu próxima cita. Consultas de elegibilidad para hospitales/aseguradoras. Estadísticas sobre la población de miembros elegibles por región. ¿Usted es o ha sido participante del Programa Medicaid? Provider Portal Terms & Conditions Thank you for your interest in registering as a Puerto Rico Medicaid Provider through the Vital Provider Secure Web Portal. The Puerto Rico Medicaid Program is committed to protecting the privacy of Vital Providers when accessing and using our website. We make our best efforts to ensure that the information you submit to us is used only for the purposes of this Portal and remains private. During the registration process, we ask for specific information about you. We do not disclose any information provided to any outside parties, except to manage the Vital Program or when the law may require it. Providers should designate a Primary Representative from their office for the Portal. The Primary Representative will have the ability to add Authorized Representatives within their office to the Portal. Registration Instructions: Both the information below and acceptance of the attached Agreement is required in order to complete registration. If you have any question or any doubt, please contact us through (787) 474-3300 customer service. IMPORTANT NOTICE You may use the Vital Provider Secure Web Portal (“Portal”) only if you agree to the terms and conditions below. You indicate that you understand and agree to follow the terms and conditions by registering through the Portal. If you do not agree to these terms and conditions, you may not register. Medicaid Program Provider Secure Web Portal Agreement Definitions In this Agreement, the words: •	“Administrator” means The Puerto Rico Medicaid Program. •	“Authorized Representative" means a person that a Provider has authorized to use the Portal under this Agreement on Provider’s behalf. •	“Member” means the person who is receiving medical services or supplies. •	“MCO(s)” means the managed care organizations under contract with the Administrator for Vital. 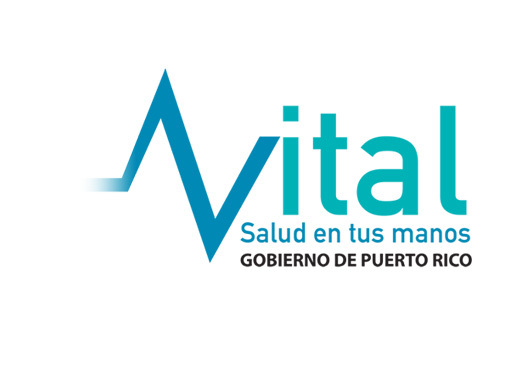 •	“Vital” means the managed care program operated by ASES by a Memorandum of Understanding with the Medicaid Program, Puerto Rico Department of Health, for the provision of health care services to members. •	“Primary Representative” means the Authorized Representative in the Provider’s office who has responsibility for adding, deleting and maintaining the names of the Provider’s Authorized Representatives. •	“Provider” means the person signing this form who has a contract to provide medical services or supplies to Vital members. •	“Service” means the Portal under this Agreement and the Web site that supports it. •	“Treatment” is defined pursuant to 45 CFR 164.501 the provision, coordination, or management of health care and related services by one or more health care providers, including the coordination or management of healthcare by a health care provider with a third party; consultation between health care providers relating to a patient; or the referral of a patient for health care from one health care provider to another. Introduction This Provider Secure Web Portal Agreement (“Agreement”) contains the terms and conditions that govern use of this Secure Web Portal service between the Administrator and an authorized user(s) for access to information on eligibility, claims payments and prior authorization. ASES maintains this site as part of its administration of Medicaid in Puerto Rico. Use of the Secure Web Portal Service The portal provides access to information on member eligibility. The Provider shall use the Service solely in connection with its health care services to members of Vital. End users (aka Providers, Primary Representative(s), and Authorized Representative(s) shall use the portal solely in the course and scope of employment or agency with Provider. End users shall access and use the portal subject to the following: 1. The terms and conditions of this Agreement; and the applicable provisions of Provider’s contract with MCOs contracted by ASES to provide health care services to Vital members (the “Provider Contract”). The applicable provisions of the Provider Contract include, but are not limited to, use and disclosure of protected health information under the HIPAA privacy standards, member eligibility verification, utilization management standards within MCO policies and the provider handbook, and timelines for submission and resubmission of claims. 2. In the event of a conflict between a term and condition under this Agreement and a provision under the Provider Contract, the former shall govern. Provider shall require the Primary Representative and Authorized Representative(s) to (1) keep confidential and not disclose the Provider’s password to any person except Provider or the Primary or Authorized Representative; (2) use the Portal solely in connection with Provider’s health care services to members Vital and within the course and scope of employment or agency with Provider; and (3) use the portal pursuant to the terms and conditions of this Agreement. Upon learning that the Primary or Authorized Representative(s) has violated conditions (1), (2) or (3) above or no longer works for or represents Provider, Provider shall immediately revoke such person’s authority to use the Portal. Provider shall also notify the Administrator when it has revoked the Primary or Authorized Representative(s) authority to use the Portal for any other reason. The Provider shall revoke the Primary or Authorized Representative(s)’ authority to use the Portal if directed to do so by Administrator. If a Primary or Authorized Representative(s)’ authority is revoked, the Provider shall immediately delete such person’s access to the Portal following and designate a new Primary or Authorized Representative following procedures provided by Administrator. Use of the Portal Service The Service provides access to health information. The Provider shall use the Service solely for purposes of providing treatment to Vital members. The Primary Representative and each Authorized Representative shall use the Service solely in the course and scope of employment with the Provider or the agency. The Provider, the Primary Representative and each Authorized Representative shall use the Service subject to the terms and conditions of this Agreement and the applicable provisions of the Provider’s Contract with the MCO to provide health care services to Vital members. In the event of a conflict between a term and condition under this Agreement and a provision under the Provider Contract, the former shall govern. The Provider shall treat all member health information displayed on the Member Care Information Portal according to the applicable provisions of the HIPAA Privacy Standards, 42 CFR Part 2, and any other applicable Government of Puerto Rico or federal law governing the privacy of health information. With respect to member health information relating to treatment for drug or alcohol abuse or addiction, this information has been disclosed to you from records protected by federal confidentiality rules (42 CFR Part 2). The federal rules prohibit you from making any further disclosure of this information unless further disclosure is expressly permitted by the written consent of the person to whom it pertains or as otherwise permitted by 42 CFR Part 2. A general authorization for the release of medical or other information is NOT sufficient for this purpose. The federal rules restrict any use of the information to criminally investigate or prosecute any alcohol or drug abuse patient. The Provider shall require the Primary Representative and each Authorized Representative to (1) keep confidential and not disclose the Provider’s secure password to any person except the Provider or the Primary Representative; (2) use the Service solely in connection with the Provider’s health care services to members and within the course and scope of employment or agency with the Provider; and (3) use the Service pursuant to the terms and conditions of this Agreement. Upon learning that the Primary Representative or an Authorized Representative has violated (1), (2) or (3) above or no longer works for or represents the Provider, the Provider shall immediately revoke such person’s authority to use the Service. The Provider shall also notify the Administrator when they (he/she) has revoked the Primary Representative’s or an Authorized Representative’s authority to use the Service for any other reason. The Provider shall revoke the primary Representative’s or an Authorized Representative’s authority to use the Service if directed to do so by Administrator. If an Authorized Representative’s authority is revoked, the Primary Representative shall immediately delete such person’s access to the Service following procedures provided by Administrator. If the Primary Representative’s authority is revoked, the Provider shall immediately delete such person’s access to the Service and designate a new Primary Representative following procedures provided by Administrator. Changes to the Portal Service or this Agreement The Administrator may, at any time, make changes to the Portal, the terms and conditions in this Agreement, or any other policies or conditions that govern the use of the Service at any time. The Provider should review the Portal and these terms periodically for any updates or changes. The Provider’s continued access or use of the Portal shall be deemed as the Provider’s acknowledgement, notification and acceptance of these changes. Warranties The Administrator uses reasonable methods to provide accurate and current information on member eligibility, claims payments and prior authorization(s) available through the Portal. However, because of the possibility of technical and human error, as well as other factors, there is no implied warranty of any kind, including of representation about the accuracy, completeness, or appropriateness or fitness for a particular purpose of the Portal, and non-infringement. While the Administrator uses reasonable methods to secure the Portal, there is no warranty that the Portal will be free from corrupted data, computer viruses or similar destructive or contaminating code. IN PARTICULAR, THE MEMBER HEALTH INFORMATION APPEARING ON THE PORTAL MAY NOT REPRESENT A FULL OR ACCURATE PICTURE OF A MEMBER’S HEALTH HISTORY. PROVIDERS SHOULD RELY UPON ALL AVAILABLE SOURCES OF INFORMATION BEFORE RECOMMENDING, IN THEIR OWN PROFESSIONAL JUDGMENT, ANY COURSE OF TREAMENT FOR A MEMBER. Liabilities The Administrator will be liable for any delay, difficulty in use, inaccuracy or incompleteness of information, computer viruses, malicious code, loss of data, compatibility issues, or otherwise. The Administrator will not be liable even if someone has advised of the possibility of such damages or loss, and/or someone has informed of a problem with the Portal or its content. Providers are to use the Portal at their (his/her) own risk. The Administrator will not be liable for any direct, indirect, incidental, consequential, or punitive damages arising out of Provider’s use of or access to the Portal, or any other link provided to another site. By using the Portal, the Provider accepts at their (his/her) own risk that the internet may not perform as intended despite the best efforts of the Administrator, the Provider or any internet service providers. Ownership, License and Restrictions on Use of Materials As between the Administrator and the Provider, all rights, titles and interests (including all copyrights, trademarks and other intellectual property rights) within the Portal belong to the Puerto Rico Medicaid Program. The Provider is hereby granted a nonexclusive, nontransferable, limited license to view and use information retrieved from the Portal solely in connection with their (his/her) health care services to the members of Vital. Except as expressly stated above, no part of the information in or about the Portal, including but not limited to materials retrieved from it and the underlying code, may be reproduced, republished, copied, transmitted, or distributed in any form or by any means. In no event shall materials from this Portal be stored in any information storage and retrieval system without prior written permission from the Administrator. The Provider’s use of this site allows the Administrator to gather certain limited information about the Provider and their (his/her) usage of the service. The Provider agrees and consents to the use of such information in aggregated form. Site System Integrity The Provider may use the Portal for normal use in connection with their (his/her) health care services to members of Vital. The Provider may not use any device, software, routine, or agent to interfere or attempt to interfere with the proper working of the Service. The Provider may not take any action, which imposes an unreasonable or disproportionately large load on the infrastructure. The Provider may not disclose or share their (his/her) password(s) to or with third parties, except an Authorized Representative, or use their (his/her) password(s), or allow their (his/her) password(s) to be used, for any unauthorized purpose. The Provider shall take reasonable precautions to secure its password from any unauthorized use. The Provider may not attempt to log in with a user name or password other than their (his/her) own. Continuous, uninterrupted access to the Portal is not guaranteed. Numerous actions beyond the Administrator’s control may interfere with the Portal. Service Restriction Subject to all applicable law, the Administrator reserve the right to suspend or deny, in their singular or joint discretion, Provider’s access to all or any portion of the Portal with or without notice. The Provider agrees that any termination of the Provider’s access to the Portal may be effected without prior notice. The Provider acknowledges and agrees that the Administrator may immediately prohibit any further access to the Portal. Further, the Provider agrees that the Administrator shall not be liable to the Provider or any third party for any termination of the Provider’s access to the Portal. Agreement Termination Either party may cancel this Agreement at any time. The Administrator may immediately issue a warning, temporarily suspend, indefinitely suspend, or cancel this Agreement with the Provider and Provider’s access to the Portal if, in the sole discretion of the Administrator, the Provider breaches this Agreement. Upon termination of this Agreement, the Provider agrees to destroy all materials obtained from use of the Portal site, as well as all related documentation, copies, and installations, whether or not made under this Agreement. The person(s) signing this Agreement warrants that he or she has full authority to do so and that the signature below binds the Provider, including the Provider’s owners, employees, agents and representatives, on whose behalf the person below signs. Como proveedor o usuario autorizado por algún proveedor debe aceptar el acuerdo de acceso para los proveedores. Valla por consultas, seleccione Proveedor y acepte el acuerdo.